Members are now invited to renew their membership for 2016. The election for officers and governors is now open. By now you should have received an email with the candidate biographies and vision statements, as well as an email from our new online voting website, Simply Voting. This email contains a one-time use personalized voting link which authenticates your membership to the society and allows you to vote securely without needing to use any log-in details. We hope you take this opportunity to exercise your democratic right to vote and help to shape the future of your society in this period of immense growth and change. If you experience any problems with voting online please contact [email protected]. The Society for Cryobiology's partnership with the Organ Preservation Alliance has been a very rewarding part of my term, and something I will continue to be very proud of. The progress from initial discussions with Sebastian Giwa at our 50th Anniversary Annual Meeting to date is astounding and momentum continues to grow. Examples of this since my last update on the topic include: success of the first global Organ Banking Summit at Stanford, 7 strong dual lab teams funded by the United States DoD to work on complex tissue banking, a United States NSF funded Roadmapping Process and Reports, Washington D.C. workshop with NIH, NSF, DoD, and DARPA on organ banking, a White House Roundtable on these topics and a workshop and 60 million dollar pitch to DARPA on an Organ Banking Apollo Program. Highlights from our partnership include the first global Organ Banking Summit, organized in partnership with the Society for Cryobiology and many of our leading cryobiologists and Fellows. For the first time since the 1980s, the world's cryobiologists, other scientists, transplant surgeons, and officials from the White House and the Department of Defense all came together to identify the key remaining sub-challenges in organ cryopreservation and chart out solutions. The summit included events at Stanford, NASA and Lawrence Berkeley National Lab as well as the Breakthrough Ideas in Organ Banking Hackathon for young investigators, bringing young talent from all over the world to compete for a $10,000 fellowship prize by developing an idea that could lead to a breakthrough in organ banking. Part of the winning team, led by Peter Kilbride, have continued to develop their ideas, filing a patent for a technology that’s a derivative of ideas that were in the team's Breakthrough Idea and have now submitted several related grant applications with strong partners. 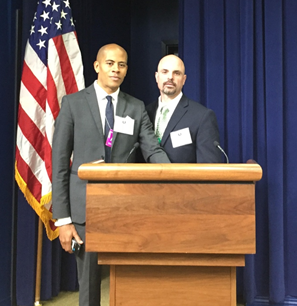 The Organ Preservation Alliance has also worked to educate and lobby government funding agencies on the large potential of organ banking, connecting the Society for Cryobiology and many of its members to prospective funders and building a platform for us to advise the federal government on investments in this important area. As a direct result of the Organ Preservation Alliance's efforts, the Department of Defense launched the first ever government grants targeted towards complex tissue cryopreservation in December 2014, generating 35 strong proposals and thus far funding 7 strong dual-lab research teams again with many of our members benefitting. We also helped the Organ Preservation Alliance put together an NSF-funded Organ Banking Roadmapping process, including a Washington D.C. Workshop with almost 100 participants including dozens of representatives from government funding agencies across NIH, NSF, BARDA, DOD and DARPA along with research scientists, transplant surgeons, and prominent stakeholder organizations. Alongside the Washington, D.C. workshop the Organ Preservation Alliance was able to arrange for a White House Roundtable chaired by Tom Kalil, one of the leaders of the U.S. BRAIN Initiative and the U.S. Nanotechnology Grand Challenge. Both Dr. Sebastian Giwa, Chairman of the Organ Preservation Alliance (on the left in the picture) and I were privileged to be able to give keynote talks on the enormous need for and potential to achieve complex tissue banking. The outcomes and recommendations from the NSF roadmapping process, DC workshop and White House Roundtable have been captured in an “Ending the Organ Shortage through Organ Banking and Bioengineering Beta Roadmap Report" (email [email protected] for a copy). The Alliance has also connected the Society for Cryobiology and many of our members and fellows to their efforts to inspire DARPA's Biological Technologies Office to launch a DARPA “Organ Banking Apollo Program”. After a very successful workshop at for DARPA leadership at the US. Military Academy at West Point, it will be very interesting to see what potentially could materialize here. Several of our leading members and fellows, including myself and our President Elect, Jason Acker, have helped the Alliance co-author a paper based on the proceedings from the first global Organ Banking Summit, "The Grand Challenges in Organ Banking," that has just been accepted for publication in Cryobiology. I highly recommend reviewing it when it is published in February 2016. I am happy with how far we have come in partnering with the Organ Preservation Alliance and excited for how much we can accomplish in the future. Clinical organ banking is truly a grand scientific challenge, and the effort, focus and resources needed to achieve this ambitious goal will be large. Much of the work to achieve organ banking is still ahead of us. But if there ever were a group who can be a catalyst for progress in this area, it is the Organ Preservation Alliance. I look forward to continued collaboration. At our latest Annual Meeting, CRYO2015, the Alliance gave a Special Invited Plenary Talk in which they pledged to either help catalyze the world to achieve organ banking or not stop until they have unleashed at least a few hundreds of millions of dollars in funding for the effort. While I admit I was skeptical when I first heard their ambitions back in 2013, I now have to say that we actually might have chance of doing it - so help play a part! Perhaps this is correct, and I hope that cryobiology over the next decade will enable the world to bank organs and many other tissues, transforming transplantation and in turn helping save millions of lives while feeding many of those breakthroughs and learnings back to the many other fields of cryobiology. Do you have any news, reviews, articles, vacancies or training opportunities to share in the Spring 2016 newsletter? Lis S. Marques, Adriana Bos-Mikich, Leandro C. Godoy, Laura A. Silva, Daniel Maschio, Tiantian Zhang, Danilo P. Streit Jr.
Abstracts from CRYO2015, held in Ostrava, Czech Republic July 26-29, 2015. As this year comes to a close, so does my term as President of our Society. It has truly been such an honor to serve. When I took office, there were several key areas of focus that served as the platform that I ran on, all related to “modernizing” the Society and ensuring our continued relevance. These included: 1) obtaining key professional executive support to provide continuity, focus and oversight to the Society which has historically been run almost completely on a voluntary basis; 2) shoring up our brand and revising our bylaws to be useful and more reflective of today’s world; and 3) connecting us with other organizations who practice our science to ensure place in not only the academic world but the applied world as well. 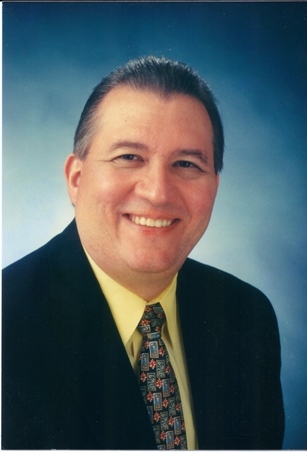 As you now know, after a lengthy search through many candidates, Ed Kordoski was retained to serve as our Executive Director. 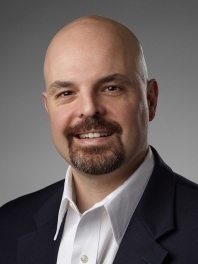 Ed hit the ground running and has been instrumental in many aspects requiring immediate attention such as our very successful annual meeting this year (CRYO 2015) as well as taking time to reach out to many of you to get a deeper understanding of the Society, what we stand for, and where we are going. His direction in developing strategic and tactical plans has been extraordinary, and I look forward to watching the society continue to develop as plans unfold. Additional long overdue support has also been directed towards the Editorial Office, where David Rawson and Nicole Evans continue to perform an amazing job on our best in class journal and support many other behind the scenes Society functions. Our brand is now secure as a new logo has been agreed upon, trademarks have been filed, and domain names have been secured for future meetings. The bylaws project was initiated under the guidance of the Board and nomination of Jens Karlsson to take the lead on the challenge. With some professional guidance we are well underway to having a modern code that both meets our legal obligations and can serve to guide us and future leaders. To connect our science with technology we have made great inroads with the International Society for Cellular Therapy (ISCT), in which joint sessions have become a tradition at both annual meetings, and the International Society for Biologic and Environmental Repositories (ISBER), which has now led to a documented agreement of support between both organizations. Additionally, one of the biggest developments during my presidency and welcome new energy has been the Society for Cryobiology's partnership with the Organ Preservation Alliance. With our support and those of like-minded organizations, they have been able to generate impressive support and the first waves of targeted funding for efforts to achieve banking of organs and other complex tissues. Please see the update on this exciting partnership in this newsletter as well. In closing, I want to once again thank all of you for making our Society special, and thank the Board of Governors and the Executive Committee for all the work that was accomplished. While holding this office during what can only be described as a pivotal point in our history has not been without its challenges, it has been extremely rewarding and has strengthened my appreciation for what we do and all of you. I truly look forward to watching the seeds planted during my term grow, and supporting the next leaders continue the journey. The New Year is a time of revitalization and doing better than the year before. The leadership of SfC have made that same commitment to the Society. They are finalizing a 2016 - 2020 Strategic and Tactical Plan to lead the Society into the future. The plan presents a roadmap for the path forward for governance structure and operations, the bylaws, the annual meeting, the journal, membership, finances, and communication. Currently they are working on overhauling the bylaws that are antiquated and do not reflect actual practice. The Board plans to develop and refine the plan before the end of this year and then present it to the new 2016 SfC leadership for final adjustments. The 5-year plan will then be presented and on voted on by the general membership at the CRYO2016 meeting in Ottawa in July. This "living" document will become the map to lead SfC into the future for the next 5 years. This is a major step forward and represents the first long-range plan since the Society was founded in 1964. The New Year is also a time of renewal. Like me I am sure most of you are renewing your membership in your clubs, associations, and professional societies. Now is the time to renew your 2016 SfC membership if you have not done so already. Your membership gives you an electronic subscription to the Cryobiology journal, zero page charges when publishing in Cryobiology, reduced registration fees to the annual conference, the quarterly SfC newsletter, access to the searchable online membership directory and member's area of the website, the right to sponsor new member applications, and the right to participate in Society governance by voting and holding office. These benefits far outweigh the minimal cost of membership. For example publishing 3 pages in Cryobiology costs $105.00, but membership costs only $75.00 with page charges free! That alone is a $40.00 savings for just three pages. Personally as a scientist I feel it is my duty to support my professional society and the science that provides my livelihood. I hope you feel the same and will renew your 2016 SfC membership now during this time of tremendous activity in the Society. I also hope you will participate in the changes taking place in SfC. This is an exciting time and I am proud to be part of it. Best Wishes, Season’s Greetings and Happy New Year!!! Organization for CRYO2016 is progressing well and we are hoping to have both the website and abstract submission up and running in January next year. Co-Chairs Jason Acker and Robert Ben are now inviting calls for symposia. If you have an area of Cryobiology you feel passionate about that you think has been under-represented at our conferences in recent years please do get in contact with Jason. 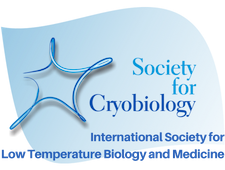 The society once again invites all members to nominate worthy individuals for the honoary position of Fellow of the Society for Cryobiology. Fellows are awarded this prestigious status in recognition of: scientific impact of their research on cryobiology (50%); sustained nature of that impact (20%); generation of scientific offspring (20%); and service to the Society (10%). There is no formal application form on which to make the nomination, but the documents you provide the fellowship committee should be of sufficient depth to support the candidate’s contributions to the categories mentioned above in a clear and demonstrable way. Usually this will mean inclusion with the nomination: (1) supporting letters from members of the Society or other major contributors to cryobiology (including one from the nominator); and (2) a detailed resume for the nominee. I suggest you contact the proposed CryoFellow to discuss their nomination before proceeding and to obtain the resume from the nominee. For further information or to submit a nomination please contact president-elect, Jason Acker, by March 31, 2016. Our Society simply couldn't function without the tireless work of our Officers and Board of Governors. This year we bid farewell to John Crowe whose 6 year journey from president-elect, through president, and finally past-president has come to an end. John's wealth of experience will be sorely missed by the Board of Governors and we thank him for all his hard work. Following on in John's footsteps, current President, Erik Woods, is moving into the final phase of his tenure as president, as he begins his 2 years in the office of past-president. Current secretary and treasurer, Yuksel Agca and Adam Higgins, are both reaching the end of their 2 year term as officers, but both seek re-election in the current election. We also bid farewell to governors Tiantian Zhang, Serean Adams, and Jens Karlsson, although both Serean and Jens are standing for re-election as governors, and we may yet welcome them back to the Board in 2016. Natalie Getreu has been awarded PhD studentship from the Royal Free Charity of Royal Free Hospital, London,to to study human ovarian tissue cryopreservation with Dr. Paul Hardiman and Society for Cryobiology Fellow Professor Barry Fuller at Royal Free campus of UCL. The work will look at optimizing ovarian tissue transplantation by improving graft revascularization following cryopreservation and thawing. The project follows on from a previous MD study which established the feasibility for cryopreservation research studies on human ovarian tissue. Mustafa Bucak's team based at the Veterinary Faculty at Selcuk University in Konya, Turkey are seeking research partners/collaborators for their research in in vitro embryo production in bovine, particularly in the areas of interaction among antioxidants, embryo development, and freezing and oxidative stress. Interested parties can contact Dr. Bucak at [email protected]. Since our last quarterly newsletter we welcome the following new members. The Biothermal Sciences Laboratory at Villanova University has an immediate opening for a graduate Research Assistant. The assistantship includes complete tuition waivers as well as an annual salary of $20,500. A requirement for the position is to complete a Masters or Doctoral thesis on the research topic described below. You would be expected to devote 20-30 hours to research-related work during the school year, and to do full-time research (for pay) during the summers. Students with a degree in Mechanical Engineering, Materials Science, Chemical Engineering, Engineering Physics, Bioengineering or related fields are invited to express their interest in this opportunity by submitting a copy of their resume or curriculum vitae (in PDF format or hardcopy only) to Prof. Jens Karlsson. In this NIH-funded interdisciplinary project, you will explore phase-transformation phenomena and molecular transport processes in non-equilibrium liquids. The applications for this research include materials processing (controlling microstructure during solidification), biotechnology (preservation of cells), and food technology. Experiments will focus on investigation of ice and sugar crystals in aqueous solutions, and computer models will be used to simulate novel desiccation strategies that have been proposed for long-term preservation of living cells. Postdoctoral Research Fellowship in tissue engineering, cell therapy and regenerative medicine. The Program in Children’s Regenerative Medicine in the Department of Pediatric Surgery at The University of Texas Medical School at Houston is seeking a Postdoctoral Research Fellow for its Cellular Therapeutics Translational Laboratory and Human Cell Processing cGMP Facility. The successful candidate will report to the Director of the facilities and must be able to work, with minimal supervision, on translational research projects related to tissue engineering, cell therapy and regenerative medicine. Among primary responsibilities, the incumbent will be responsible for the development of improved vitrification solutions and conditions for cells and/or tissues and transitioning innovative tissue engineering therapeutic approaches from experimental pre-clinical models to clinical applications. After proper training, additional responsibilities will include participating in the production of clinical grade, cell and tissue engineered products. The ideal candidate will have a Ph.D. or equivalent degree in a relevant scientific discipline, research experience in cryobiology and vitrification technology, a keen interest in stem cells, tissue engineering and regenerative medicine, and experience with pre-clinical studies using animal models as well as with aseptic methods of harvesting, purification, processing, culture, storage and characterization of human stem cells. He/she will be strongly motivated to work both independently and as a team member in a highly interactive and dynamic research environment, with a proven ability to conduct and publish research and an enthusiasm to learn and develop new techniques. This position will work closely with physicians, scientists, experts in regulatory issues and process development, and other postdoctoral fellows within the Program of Regenerative Medicine. The Program has over 5,000 square feet of state of the art, fully-equipped basic laboratory and tissue engineering facilities as well as over 2,500 square feet of cGMP laboratories for production of clinical grade, cell and tissue engineered products. This initiative will help to save children’s lives and improve the quality of their lives by developing techniques and therapies to repair damaged organs or birth defects in children. To apply, please provide a cover letter with a brief description of your research background and interests, and a Curriculum Vitae with the contact information for 3 professional references to Dr. Fabio Triolo ([email protected]) with a CC to Stephanie Baca ([email protected]). UTHealth is and EEO/AA employer. UTHealth does not discriminate on the basis of race, color, religion, gender, sexual orientation, national origin, genetics, disability, age, or any other basis prohibited by law.